A short, mile-long interpretive trail through an area rich with history, wildlife, and rock climbers. A great introduction to the park if you’re coming in from the Western Entrance. Back in the early 20th century, the area around Joshua Tree got a lot more rain than it does these days. Before the land was protected in 1936, ranchers and prospectors tried to make a living in the region – and one of the most colorful was a man named William Keys. Keys built the nearby Desert Queen Ranch, improved Barker Dam, and set up a stamp mill just a few miles away at Wall Street. He also blasted his way through Joshua Tree boulders to let his cattle graze on the untouched grassland in Hidden Valley. Today, the climate is much drier and the pastures have mostly vanished, but this short and easy hike into Hidden Valley will give you a nice glimpse at some of the region’s plants and animals, its history, and in the right seasons – some of its climbers. The trail is extremely well-signed and easy to spot from the parking lot. You’ll enter through Keys’ original portal and almost immediately hit the sign for the loop trail (stick to the main path and ignore the unmarked climbers’ trail that leaves on your left). 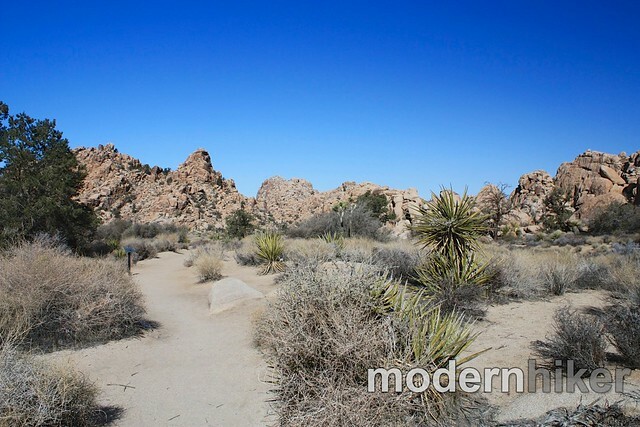 Hidden Valley is a great introduction to the northern, Mojave Desert portions of the park. 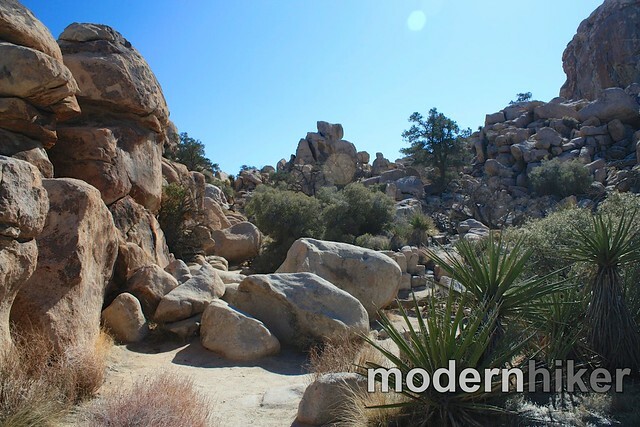 You’ll see Joshua Trees, pines, oaks, yucca, and maybe even a bit of desert wildlife along the way. 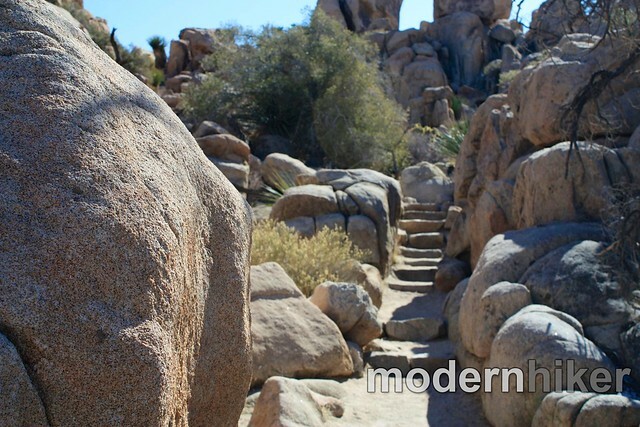 The path winds around the outside of the valley, occasionally making its way through the park’s distinctive piles of monzogranite boulders. In the cooler months, this area is very popular with climbers, and you’ll often see them scrambling up the rough rock and making it look a heck of a lot easier than it actually is. If you can get a good vantage spot, feel free to watch (and think about joining a rock climbing gym when you get back to the city!). When you’re done, finish the loop and head back out the way you came in. 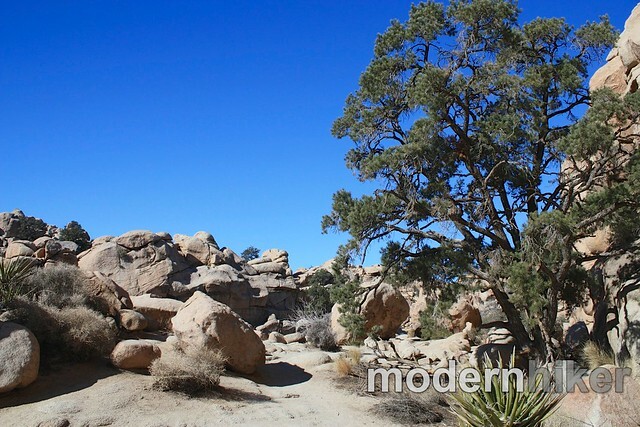 Stop for a picnic nearby or just continue your Joshua Tree adventure from here! Excellent. This is a nature walk, and the trail is well signed and marked. This area is very popular with climbers and there are many use-trails to climbing routes. Most of them are signed with a little rock climber icon, but a few aren't. Head toward the Hidden Valley picnic area just off Park Boulevard. 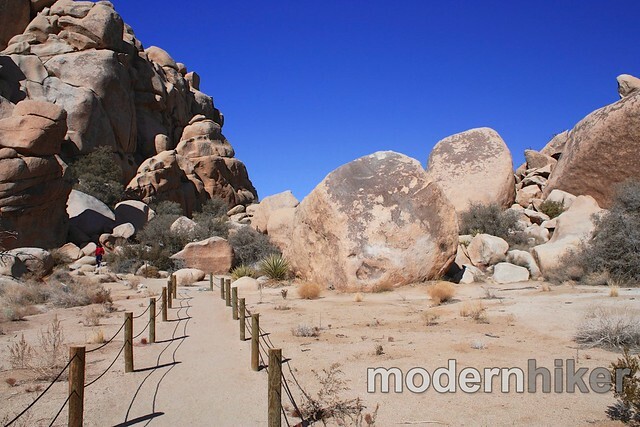 It's about 14 miles from the town of Joshua Tree and 48 miles from the Southern Entrance. There is a small parking lot right near the trailhead. Hiked there last August. Softer evening light makes those rocks really come alive.